We've made tracking time easy! Our easy and simple to use time tracker allows you and your staff to enter time whenever and wherever you are. 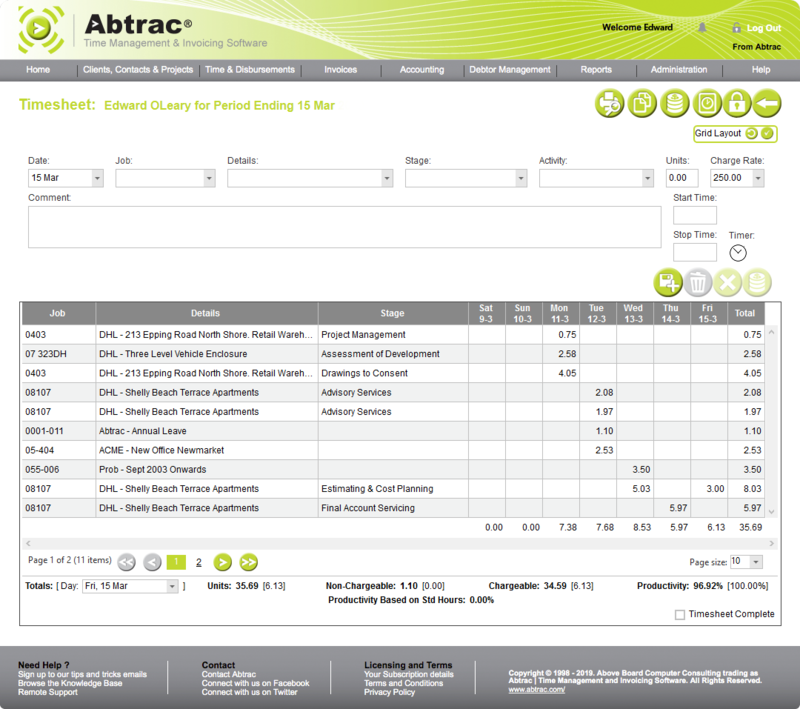 With 4 different ways to track time, each user can choose their preferred layout option to suit their way of working. The site administrator determines the rules to be followed and the fields to be used by everyone. 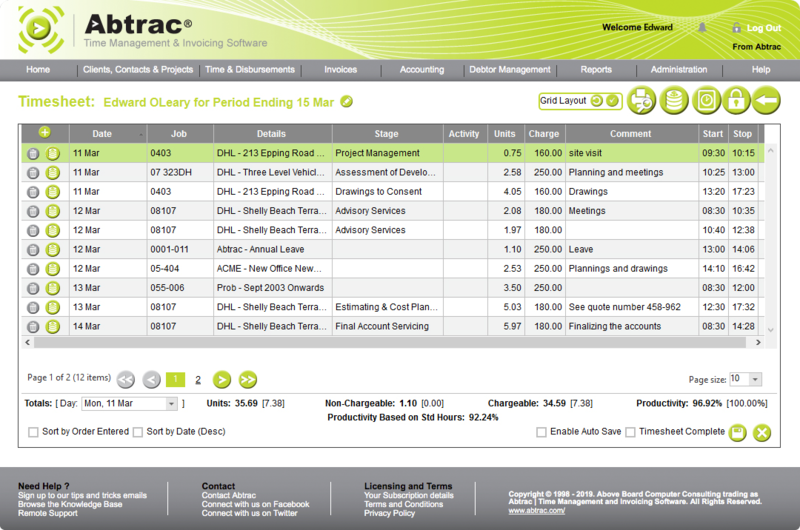 Because it is so easy, employee time can always be up to date giving project managers comprehensive real time reports. 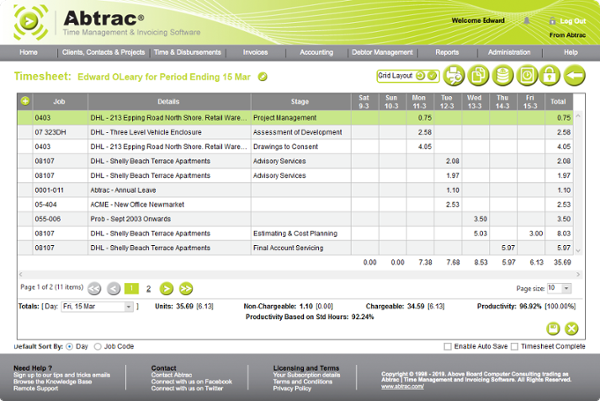 Stay on top of your budget by running an estimates vs the actuals report on each project, seeing which jobs are on track and which ones need closer management. 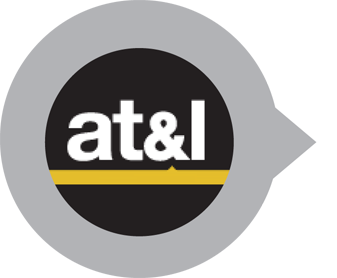 Upload your payroll to all the leading accounting software systems, so you never have to enter data twice. 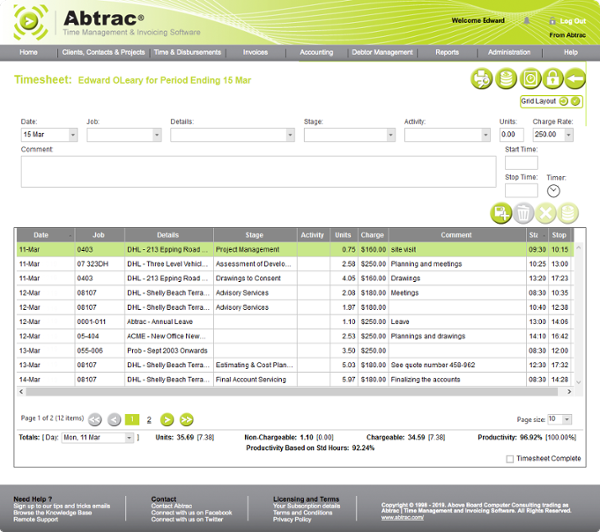 The reason I like Abtrac is you can talk to people. It’s like having your own IT department. 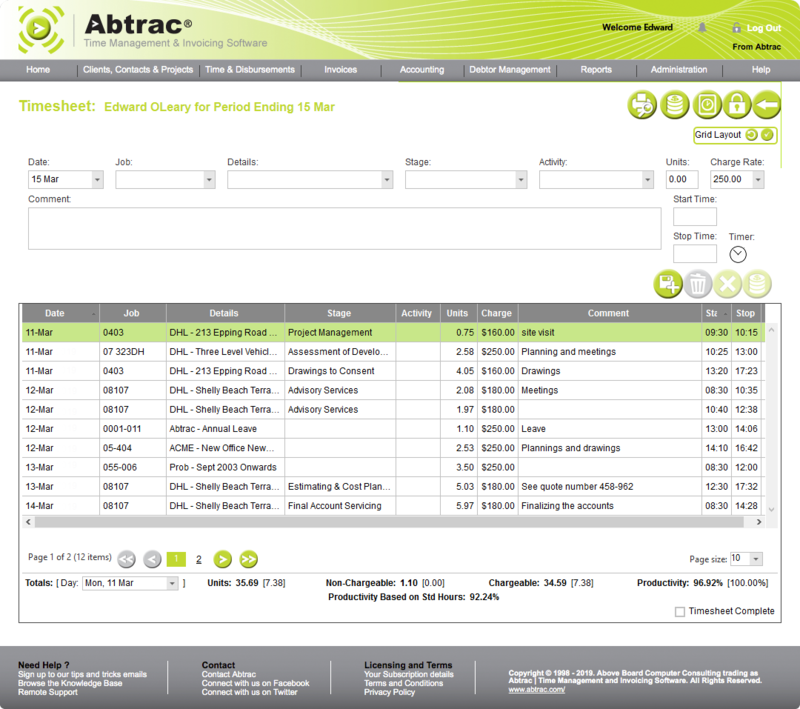 Unleash the benefits of what Abtrac can do for your business.